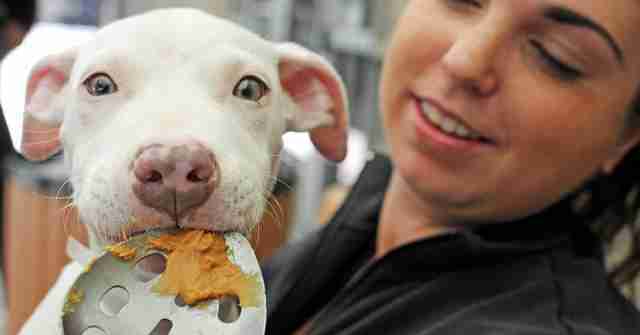 Why Are Dogs So Crazy For Peanut Butter? 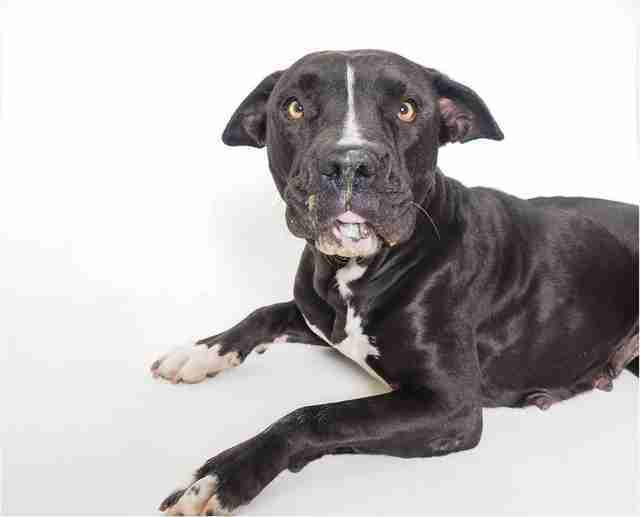 When first offered a spoonful of peanut butter inside a California shelter, Arrow, a 2-month-old pit bull mix, couldn't believe his luck. His eyes widened. His tail wagged like mad. 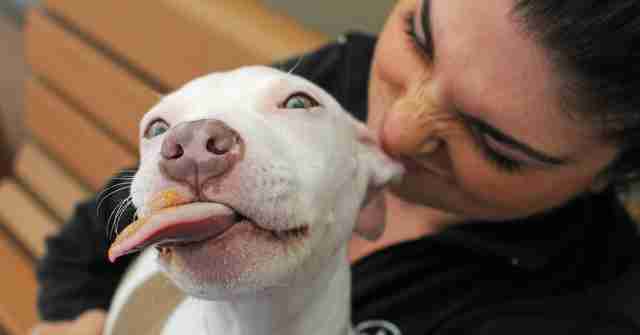 Then Arrow tasted the peanut butter, and his tongue went crazy with licking. 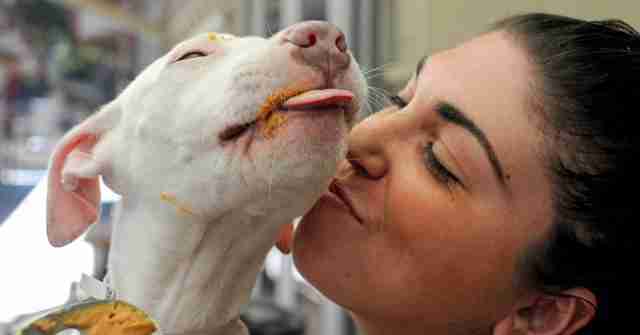 "The look on his face was like, 'This is the best stuff ever,'" Stacy Dubuc, the development manager for SPCA for Monterey County, where Arrow once lived, told The Dodo. "He just flipped out. He was in ecstasy." Stacy took photos of Arrow enjoying his peanut butter and posted them online. 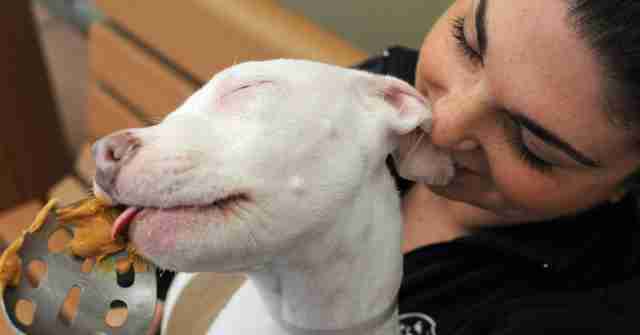 The very next day, he found his forever family. So what is it about peanut butter that make dogs go crazy for it? It probably has a lot to do with taste and smell, Dr. Susan Wynn, a veterinarian at BluePearl Specialty and Emergency Pet Hospital and an expert on veterinary nutrition, told The Dodo. 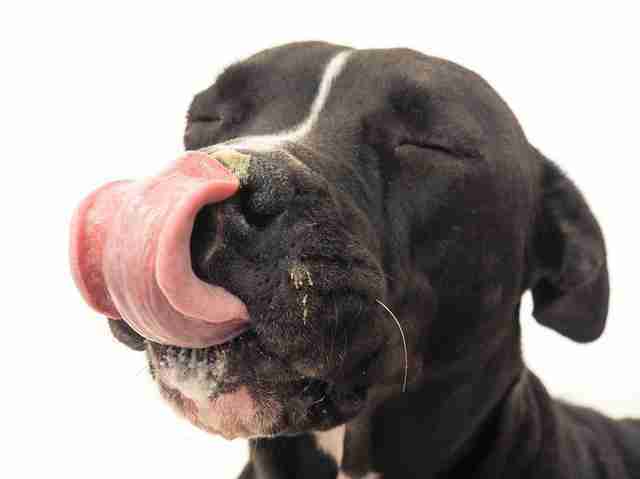 "Dogs almost certainly love the sugar and salt in peanut butter," Wynn said. "That would certainly make them remember it once they have tried it, but I think the aroma is what makes them immediately attracted. That roasted aroma comes from proteins and fats that have been changed in the roasting, and they probably smell a bit like caramelized meat." "Dogs (and people) are hardwired to seek out certain chemicals that signal a nutrient-rich food, with fat and protein being the primary drivers," Wynn added. Dr. Christy Michael, a veterinarian at DoveLewis Emergency Animal Hospital, similarly believes dogs adore peanut butter because it's rich in fat and salt. "Dogs and cats are more likely to treasure food that is heavy in sodium and fat because these factors would be less commonly encountered in their 'wild' diet," Michael told The Dodo. Yet Michael has another explanation - she thinks dogs also like peanut butter simply because their owners like it, and offer it to them as a special treat. "Ultimately, a dog frequently desires food that is being eaten by the leader of their pack (in this case, their person) and, in many cases, that food is not shared with the dog," Michael said. "However, for whatever reason, people have decided that sharing peanut butter is OK, and dogs are fully aware that this is one of the few food items that the leader of the pack will share with them freely." "That means when a person reaches for a jar of peanut butter, the dog gets very excited because there is a chance they will get some of the tasty treat," Michael said. 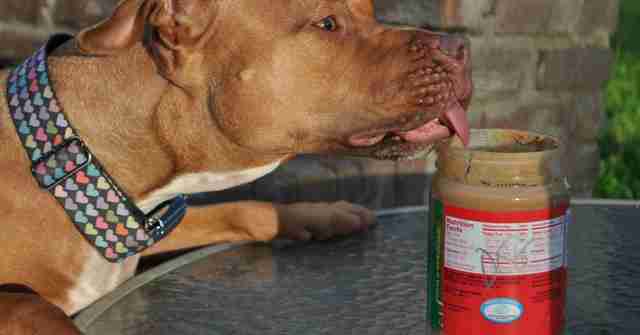 Before you grab your jar of peanut butter to share with your dog, it's important to check the label. Some peanut butters contain a deadly ingredient for dogs - xylitol, a natural sweetener that can cause hypoglycemia and hepatic necrosis in dogs. As long as the peanut butter doesn't have xylitol, Wynn said any kind is fine for dogs, although she would recommend organic. "I personally prefer peanut butter that is organic and contains no sugar or any other additive to keep things simple and clean, and products that come from big retailers that do their own due diligence to keep the products they carry safe and dependable," Wynn said. It's also important not to give dogs too much. "If the peanut butter is being used as a treat, you have to keep in mind that it is a very high calorie treat," Wynn said. "The general rule is that all treats in a day - of whatever sort - need to total less than 10 percent of the dog's calorie needs." For a large dog, that works out to be less than a teaspoon a day, according to Wynn. For small dogs, that's about one-eighth of a teaspoon.